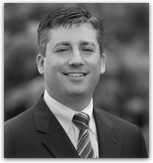 David C. Werts is the founding principal of Legacy Real Estate Investments and has more than 20 years experience in commercial real estate analysis, due diligence, acquisitions, dispositions, asset management, corporate finance and commercial lending. Prior to founding Legacy Real Estate Investments, he was a Senior Vice President of Acquisitions and Dispositions with ScanlanKemperBard Companies, a Western United States commercial real estate investment firm. During his tenure with SKB, Mr. Werts was involved in the acquisition of over $250 million in commercial properties and over $280 million in dispositions. Prior to his acquisition and disposition responsibilities Mr. Werts managed SKB’s commercial real estate portfolio in the San Diego, Los Angeles, Portland and Seattle markets including the oversight of all property management, leasing, budgeting and capital improvement projects. Mr. Werts holds a Bachelor of Arts degree in Economics from Brigham Young University.